Wellington F. Roemer started Roemer Insurance in 1934. Today, the Toledo-based business continues on in his family. Wellington's son, W. Thomas "Tommy" Roemer, is vice chairman of the board, and his grandson, Wellington F. "Rocky" Roemer III, has been president and CEO for 20 years. 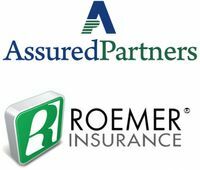 Roemer Insurance - The unwavering commitment to honesty, integrity and ethics anchor the core of a value system that launched Roemer Insurance continues to serve as our business philosophy today. Upon this foundation of trust, we've built an excellent reputation in our community and are grateful for the clients we are privileged to serve. Please provide a little info so we can get to work for you. Or, simply email me at rocky@roemer-insurance.com or call us at 800-462-1993. 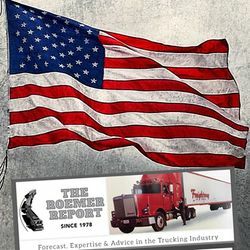 The trucking insurance experts at Roemer have established our preeminent reputation in the industry by serving America’s trucking fleets with integrity since 1934. Throughout those many decades, innovation and technology have always been our hallmark. The unparalleled experience and industry expertise Roemer brings to the table assures our clients of the best service and value possible. Roemer Insurance, the Trucking Insurance Experts... Innovating for over eighty years. Roemer Insurance has been a leading force in commercial truck and fleet underwriting for decades. With 80-plus years insuring America’s truckers, Roemer Insurance continues its legacy of innovation, delivering new, higher levels of service and value to trucking fleets and drivers through the insurance products and risk management services delivered daily by the Roemer Family of Brands. Among the first to recognize the specialized insurance needs of trucking fleets of all sizes, Roemer has been witness to the rise of commercial trucking and will continue to grow—meeting the industry’s ever-expanding list of challenges by innovating new and tailored insurance products and services for both owner-operators and truck fleet owners. From managing operating costs or navigating expanding regulations, to insuring specialized fleet operations or securing initial operating authority, The Roemer Family of Brands stand ready to equip truckers and fleets with the tools, experience and insight they need to push costs down, pull revenues up and drive safe, secure operations every mile of the way. 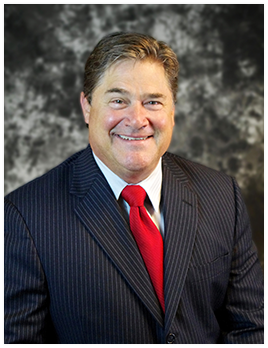 "I went through several insurance agents in the beginning because they lacked knowledge of the trucking industry. I sought an agency that could answer my questions and offer me the best coverage for my needs... the whole Roemer team has been instrumental in me being able to continue a profitable business."